. 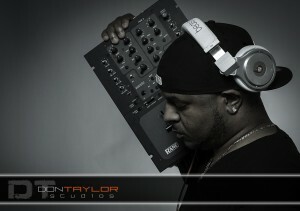 DJ Fizz’s dj’ing career has spanned over 10 years and started with just a regular house system. DJ Fizz, who considers himself more of a freestyle DJ, has been quoted as saying he’s patterned his career after some of his favorite industry influences, like DJ Jazzy Jeff and DJ Jam Master Jay, by honoring them in the way he rocks a crowd yet stays humble at the same time. DJ Fizz spins a variety of music genres from his repertoire such as techno, old school, dance, salsa, Top 40’s, R&B and Hip Hop. Fizz has seen his craft take him from coast to coast, including Miami, Las Vegas and Atlanta to name a few. DJ Fizz builds his fan base, across the country, by moving the crowd with his soulful mixes everywhere he goes. DJ Fizz’s experience at keeping his audience happy and dancing has enabled him to spin at the 2012 Soul Train Music Awards in Las Vegas and participate in such major dj’ing competitions as BET’s Master of the Mix – hosted by KID CAPRI – where he ended up winning 4th runner up in California. The Las Vegas DJ Fizz had a special appearance on the MTV show “True Life In the Eyes of a DJ” that airs October 2014. Fizz also showcases his talents at weddings and high profile birthday parties as well as club events. Attached are photos and the link to a few mixes which shows DJ Fizz’s versatility. To secure DJ Fizz for your event, contact his management – IShe Entertainment – at 707.400.9878 or 707.400.9879.